This is as close to colour accurate I could get, it is a deep violet shade rather than leaning towards blue. 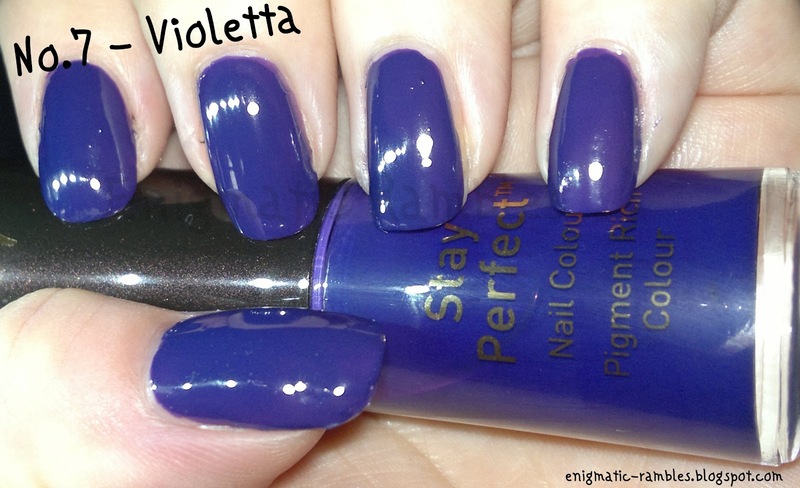 As with most of the No.7 polishes this is a very pigmented polish and as such is good for stamping with. The brush is nice and flat and wide, the bottles have changed recently and as such the brushes may ave changed.